In order to be a bit more health conscience, this year I've been experimenting with my eating habits - trying to be more aware of what foods I put in my body and how it's affecting my mood and physical well being. I've introduced more plants and vegetables into my diet, experimented with The Whole 30, and recently decided to cut out meat and poultry. That means this Thanksgiving there will be no turkey on my plate. When it comes to everyone's favorite food holiday, I am a traditionalist. You'll always find turkey, mashed potatoes, cranberry relish, stuffing, and green bean casserole piled on my plate, so when I realized I wouldn't be eating some of my favorite dishes - I panicked ever so slightly. Lauren has been a vegetarian for 6 years so I pumped her for ideas and scoured the Pinterest for a vegetarian entree options. 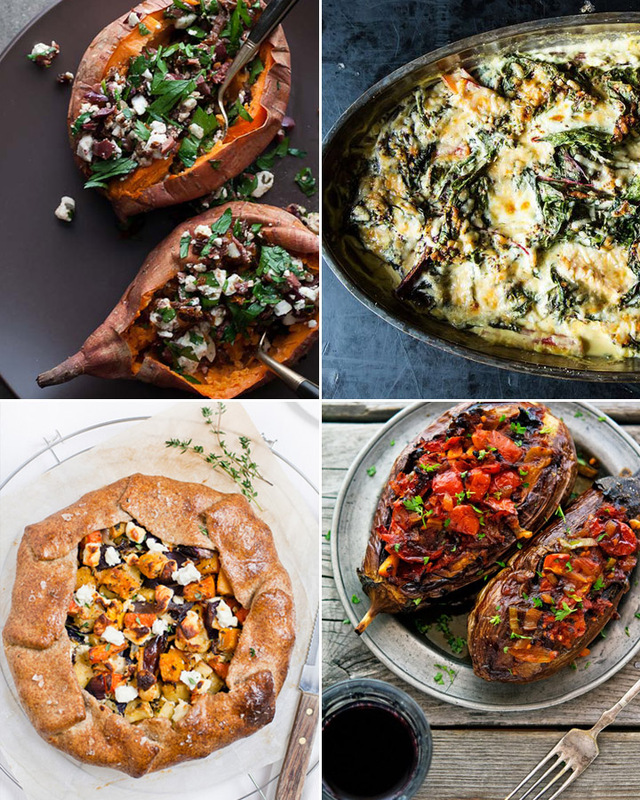 Little did I know, there are a ton of great autumnal dishes that sound incredibly appetizing and I can't wait to try! I'm Lauren. And this is my blog that follows my pursuit of a simple and lovely life. Learn more about me here. all content © 2015 FOXTAIL + MOSS. all rights reserved. Powered by Blogger.